​Stoke City's Jack Butland could be handed a potential escape route from the Championship in the summer, with Crystal Palace keeping tabs on the England goalkeeper. The Potters keeper has been the shining light in an otherwise dismal season for the recently relegated Premier League side, putting in some impressive displays of late, with five clean sheets in his side's last five matches. As a result, Palace could opt for an injection of youth between the sticks, with Daily Mirror journalist Alan Nixon responding to a question on ​Twitter regarding 26-year-old Butland's next potential destination, replying: "Palace. If they lose one." 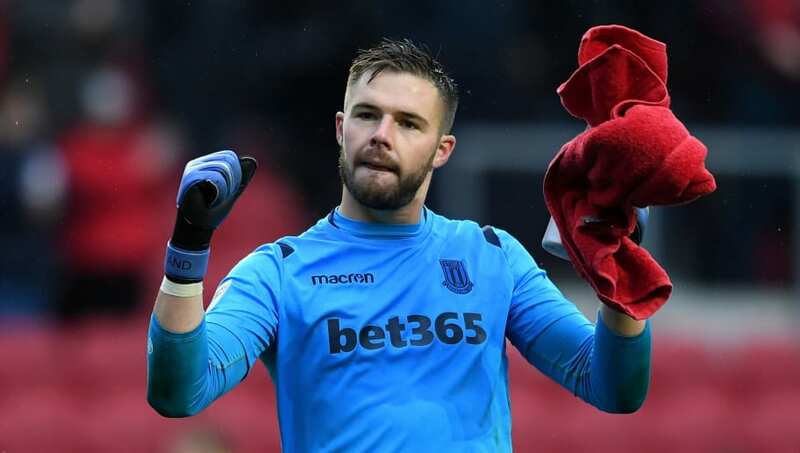 After Wayne Hennessey was charged by the FA in January over an alleged 'Nazi salute' seen in a picture posted on Instagram by German teammate Max Meyer, it seems the 32-year-old would be the likely candidate to make way for Butland's arrival should the rumours be true. Roy Hodgson has played around with his ​Palace number one this campaign, struggling to settle on first choice goalkeeper between Hennessey and Vicente Guaita. The Welshman has endured indifferent form this season, as well as off-field controversies, while question marks remain over Spaniard Guaita, who joined on a free transfer last summer. The latter has since pipped his Welsh teammate into the first team spot but, despite proving his worth as a shot stopper, has demonstrated some questionable ability at dealing with crosses and his decision making. Former Birmingham man Butland would surely be keen on a return to the ​Premier League in a bid to reclaim an England first team spot, after failing to secure a move to ​Chelsea last summer, who were credited with interest in light of Thibaut Courtois' exit from west London.